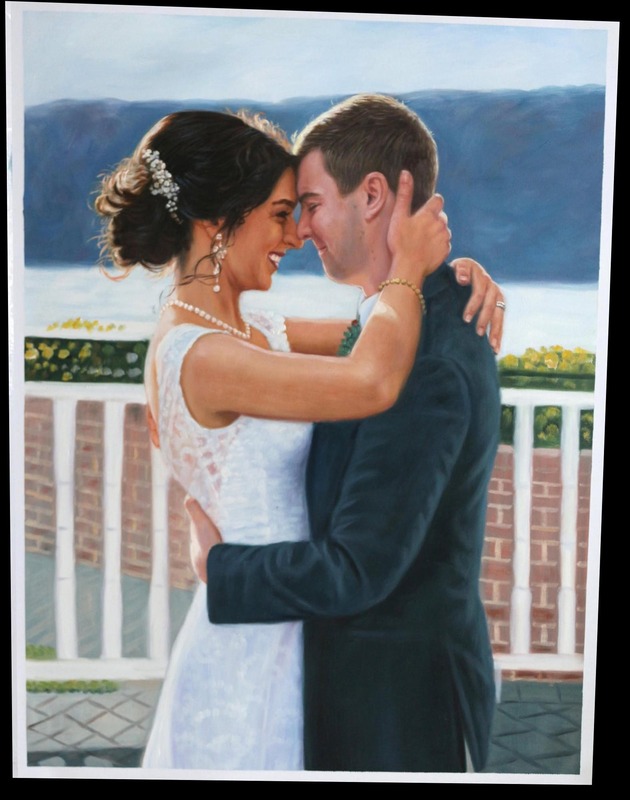 Joy Chen did the most phenomenal job with this wedding oil painting!! The attention to detail is just beautiful and we could not be happier! She was very professional, produced our paining in only a few short weeks and offered us great framing options. I would highly recommend this artist and Instapainting! Please let us know if you can paint this without our officiant, if you zoom in there is part of his arm also sticking out behind my (brides) back slightly. Second, I want to stay true to the photo, but if you could slightly minimize the double chins that I gave myself (bride) from smiling so hard that would be wonderful. This second request isn't 100% necessary so feel free to use your best judgement on what is best for the painting. Thank you! !